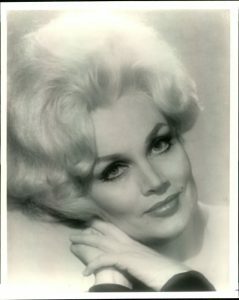 The Burlesque Hall of Fame offers our sincere thanks to the archive team at the Nevada State Museum, Las Vegas, for their invaluable assistance in restoring a bundle of Liz Renay manuscripts acquired from her estate. Liz Renay published a number of books in her lifetime, including titles like My Face for the World to See and My First 2000 Men. 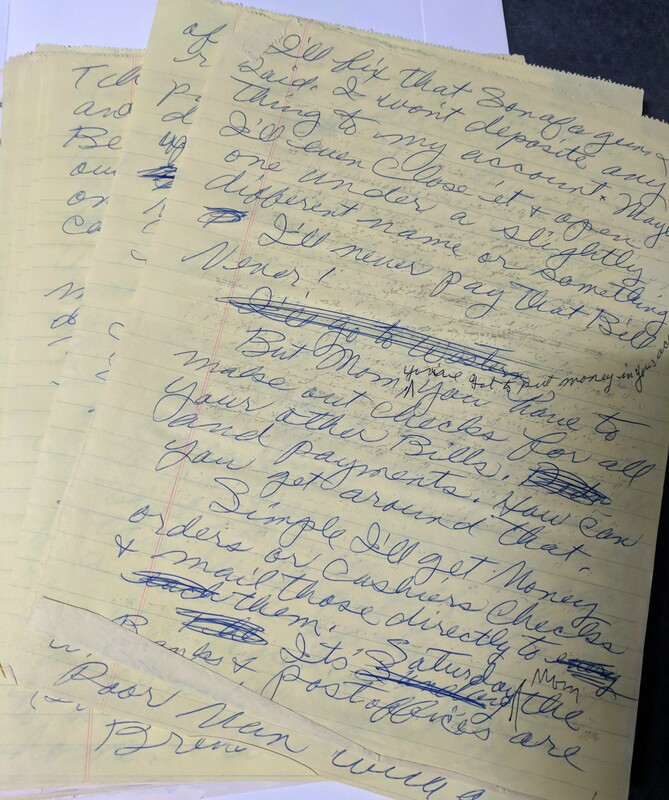 After her passing, BHoF acquired a large portion of her estate, including costumes, paintings, stage props, personal effects — and a knitting basket filled with typed and handwritten manuscripts, each bundle of pages tightly rolled and secured with rubber bands. The bundles had been rolled so long and the pages had become so yellowed and brittle that they could not be unrolled without crumbling into dust. 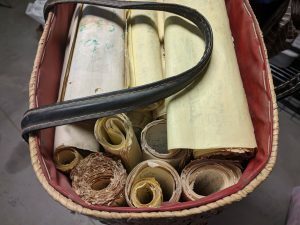 Fortunately, Crystal Van Dee, Curator of Manuscripts at the Nevada State Museum, Las Vegas, knew what to do to restore the documents so they could be read again. Under the direction of their Curator of Collections and History, Caroline Kunioka, the bundles were rehumidified and carefully unrolled and weighted until they were flat. This is a painstaking process because moisture has to be introduced into the environment of the documents without allowing the documents themselves to come into direct contact with any fluid, which could cause the ink to run. Once the pages were satisfactorily flattened, they were dried and placed into archival folders and came back to us ready to be scanned and added to our archive where they can be read by researchers (and us)! We cannot express enough gratitude to the staff of the Nevada State Museum, Las Vegas, for their assistance. Their participation and commitment is deeply appreciated.